Grand Canard Blanc is going to record his first album in studio and needs you to make the project concrete! 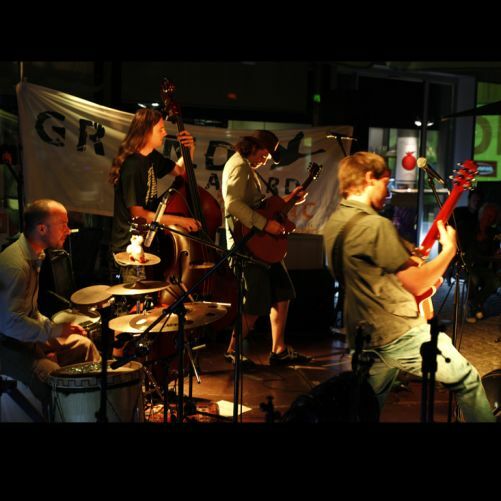 We are Grand Canard Blanc, an acoustic music band created in 2011 by old friends. 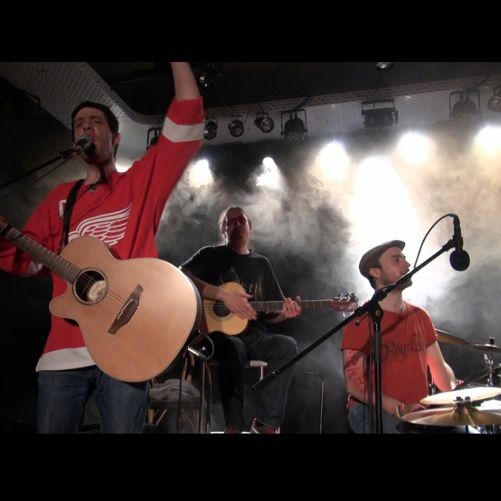 After about fifty concerts betweeen 2012 and 2014, we are going to record our new album in studio. Our purpose for 2015 is to make even more concerts. With your help, we want to record a 12 songs album in studio. The album will allow us to define our position better, in the swiss music industrie. And occur in more shows. The CD will contain songs present on the demo, new songs and others that we have never recorded before. The title of the album, «Pirates de l’ère atomique», is a reference about our actual society. With The increase of the informatic and domotic technologies. It also remind us that we are all pirates from the 21 century. Why are we on «wemakeit.com»? Simply because a CD production cost a lot of money and we don’t have enough to pay the entire production on our own. We stand for the «do it yourself» but after several try, it became imperative to have a professionel help. Peolple who can provide us material and advices about recording. We are going to record our album with the studio «Blend Studio». This studio is active on the swiss scene since 15 years. Every idea for a price could be added during the month of our wemakeit so don’t hesitate to submit your wishes for other prices on our facebook page! The price cover it all? All the bend thanks you for your help and hope to see you one day at one of our concert ! Follow us on facebook to have regular news about the project. This project ended successfully on 6/3/2015 10:00! Your’re a chief! You’ll receive the new Grand Canard Blanc album by post services. Support flight: You’ll get the CD of Grand Canard Blanc and two entries to the inauguration cd’s party. Down of feather: You’ll get the CD Grand Canard Blanc,one entry to the inauguration cd’s night and one t-shirt so you won’t be naked. You’re a Starduck: Receive the CD Grand Canard Blanc, a t-shirt and come acting in our futur videoclip ! Seduction Package: Receive the CD Grand Canard Blanc,two entries to the concert inauguration and two glasses of champagne during the night! Love package: Receive 2 CD Grand Canard Blanc,2 entries to the concert inauguration, 2 t-shirt and 2 glasses of champagne during the night! 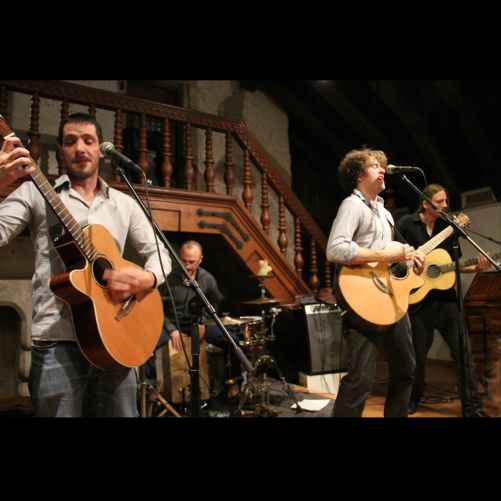 Young chick package: Receive the CD Grand Canard Blanc,one entry to the concert inauguration and get a music lesson (bass, guitare, drums) with Alexandre, Raphael or Sebastian! Sponsor package : You want to be our «main sponsors»? Your name will appear as our main sponsors in our CD booklet and you will receive 5 cd with 5 t-shirt, five invitations to the inauguration and a botlle of champaigne during the night! 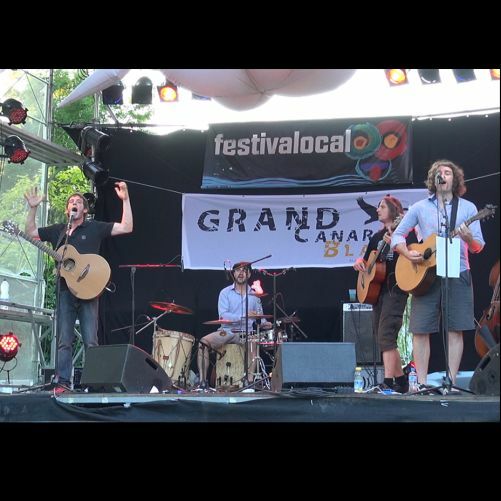 Grand Canard Blanc is a music band from Lausanne formed by Anthony Duriez (guitar vocal), Alexandre Aviolat (guitar vocal) in 2010. 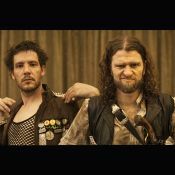 They are fast joined by Sébastien Pittet (bass) and Raphael Nick(percussion). Our purpose is to produce a music as varied and orginal as the musical universe in which we grow up.